You can tell how bad the winter's been when a breezy 50° day feels like summer is near! Well, we might be a few months away from seriously warm weather but this light and refreshing salad will have you forgetting that the next snowstorm is lurking around the corner. 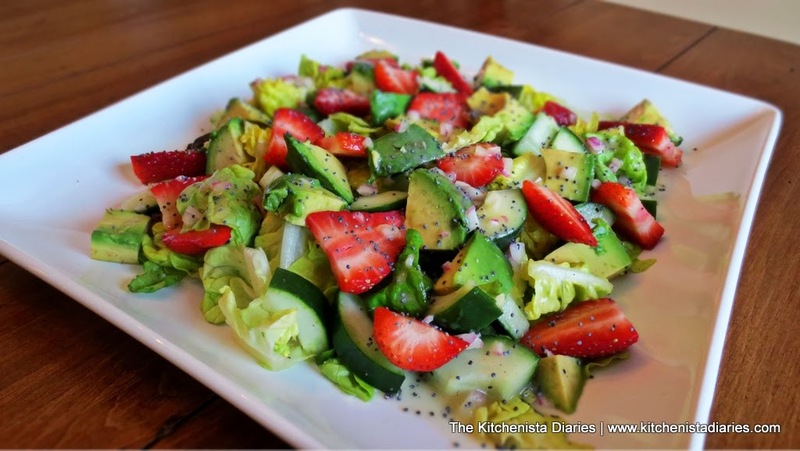 Fresh strawberries, cool crunchy cucumber, and creamy avocado all come together with crisp lettuce and a citrusy poppy seed dressing. The colors? Gorgeous. Pretty, colorful and healthy dishes make me feel better no matter what the weather is like outside. I've made this several times in the last few weeks and it quickly became my son's favorite after school snack and a guiltless pregnancy treat for me (as opposed to those Strawberry Pancakes!) 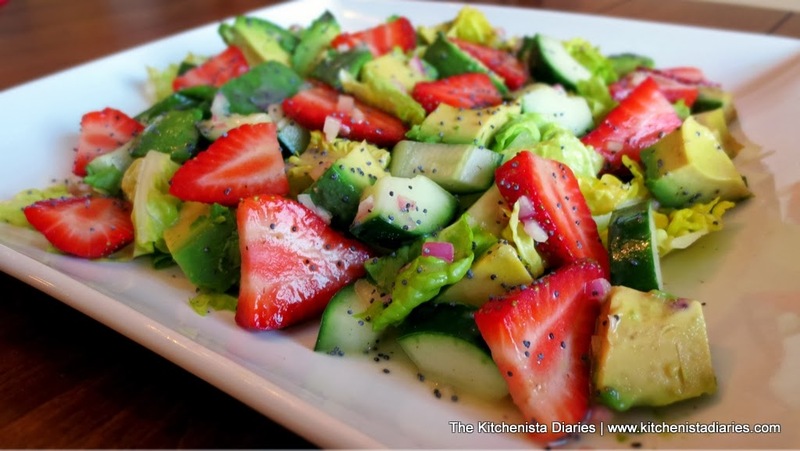 This salad is so easy to put together that I almost feel guilty writing a recipe. I kept my version meatless, but you could easily add some chopped cooked chicken breast or even serve it with a nice grilled salmon filet to make a full meal. I'm going to keep this post short and sweet so let's just dive right in! To make your dressing, combine all the ingredients in a small jar or sealable container. Any other neutral tasting oil works fine here, such as grape seed oil. Cover and shake vigorously. Season with salt & pepper to taste, if needed. 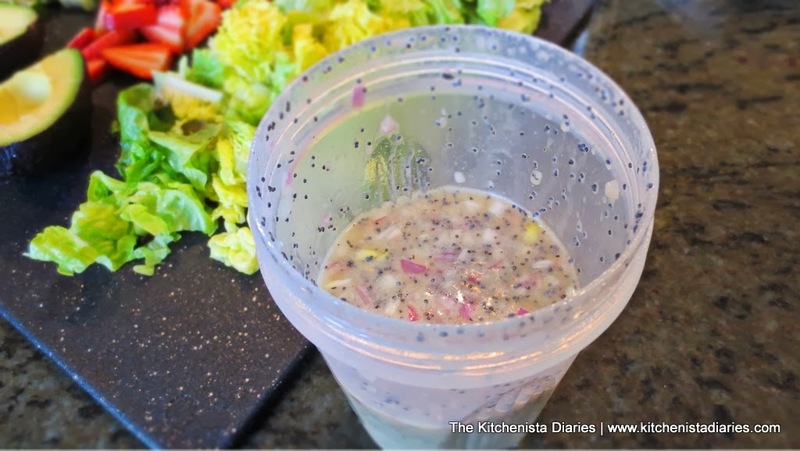 This is a modified version of the poppy seed dressing I use for my Kale & Fennel Slaw! Prep your salad ingredients. To seed a cucumber, slice it in half lengthwise then use a spoon or fork to scrape out the seeds and pulp running down the middle. Slice it again lengthwise into strips, then dice into even pieces. 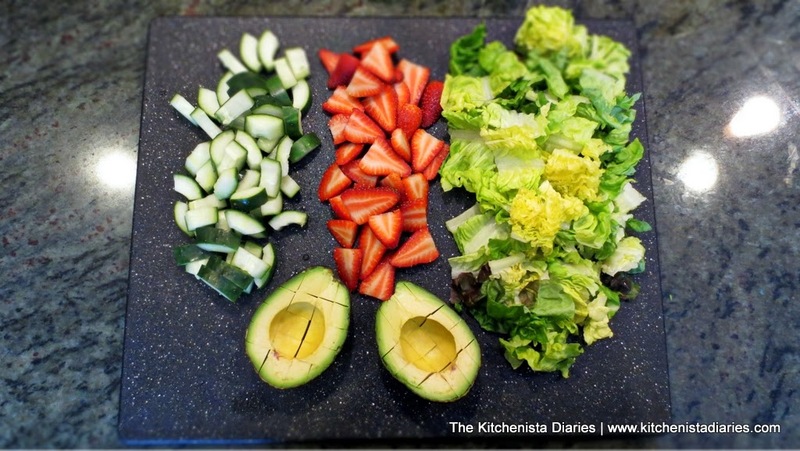 To easily dice an avocado, just slice it in half and remove the pit. Use a butter knife to score it lengthwise and crosswise. When you're ready to serve, just use a spoon to gently scoop out the cubes. 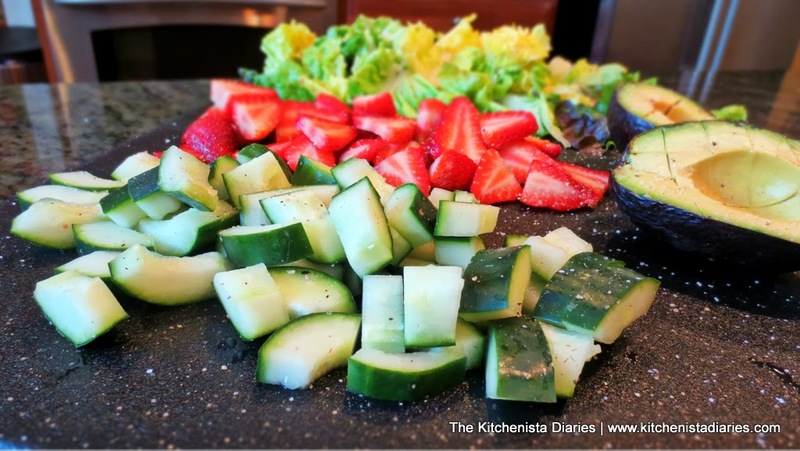 Season the prepped salad ingredients with cracked black pepper and a pinch of salt. 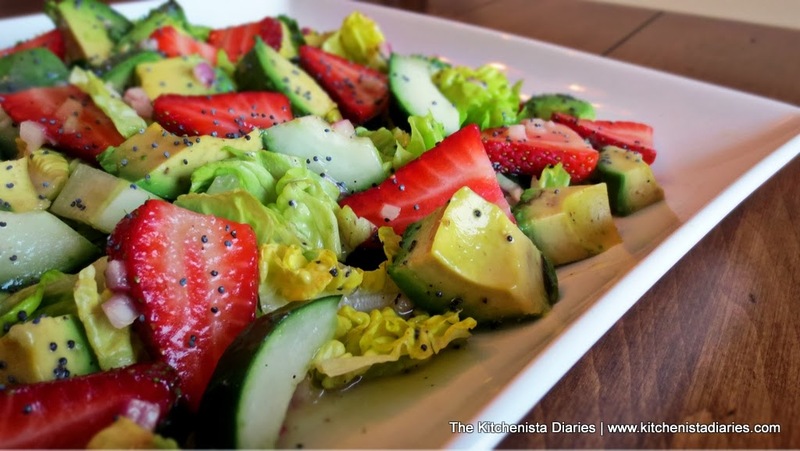 Plate the salads and drizzle with Lemon Poppyseed Vinaigrette. Dig in and pretend summer is near!